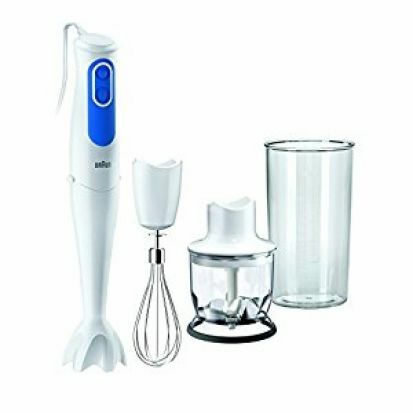 Hand blender with plastic PowerBell plus anti-splash foot, ultra hard stainless steel blades for fine results. One touch speed selection with Turbo function. Powerful, silent motor for fastest and finest food processing results. Detschsble dishwasher safe shaft. 350ml chopper, 600ml BPA free plastic beaker, stainless steel whisk.